Yedarm Lee of Somerset Christian School in Somerset. And that is exactly the goal of the Kentucky Energy and Environment Cabinet’s EcoART Contest, now in its eighth year. 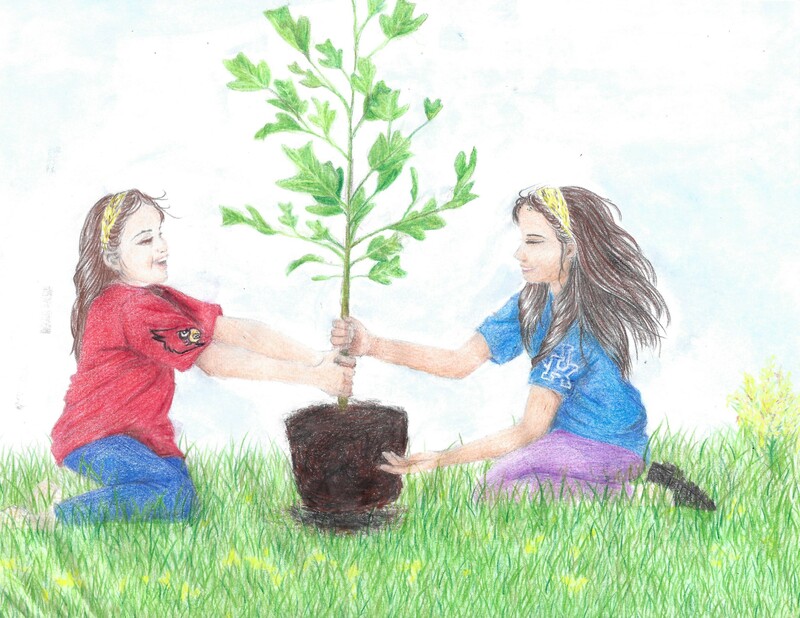 Each year, the Kentucky Department for Environmental Protection sponsors the EcoART Contest through the Division of Compliance Assistance, to encourage Kentucky high school students to submit artwork that challenges all of us to protect and preserve our environment. For the contest, students submitted artwork in a variety of media, including drawing/painting/print work, mixed media, sculpture/pottery, digital and photography, based on the themes of water, air and land and natural habitat. The winners of the 2016-17 contest were selected in April, and the awards were presented at the end of April and throughout May. Kaylee Thornsbury, of Morgan County High School in West Liberty. Other contest winners were Yedarm Lee of Somerset Christian School in Somerset; Savannah Wilder of Pleasure Ridge Park High School in Louisville; and Heather Bensinger of Mercer County High School in Harrodsburg. Savannah Wilder of Pleasure Ridge Park High School. Heather Bensinger of Mercer County High School in Harrodsburg. Artwork from the 2017 contest winners will be displayed at the Energy and Environment Cabinet, 300 Sower Boulevard, Frankfort, KY 40601. For more information about the contest please visit http://dca.ky.gov/LGGS/Pages/ecoart.aspx or call the Division of Compliance Assistance at 502-564-0323.